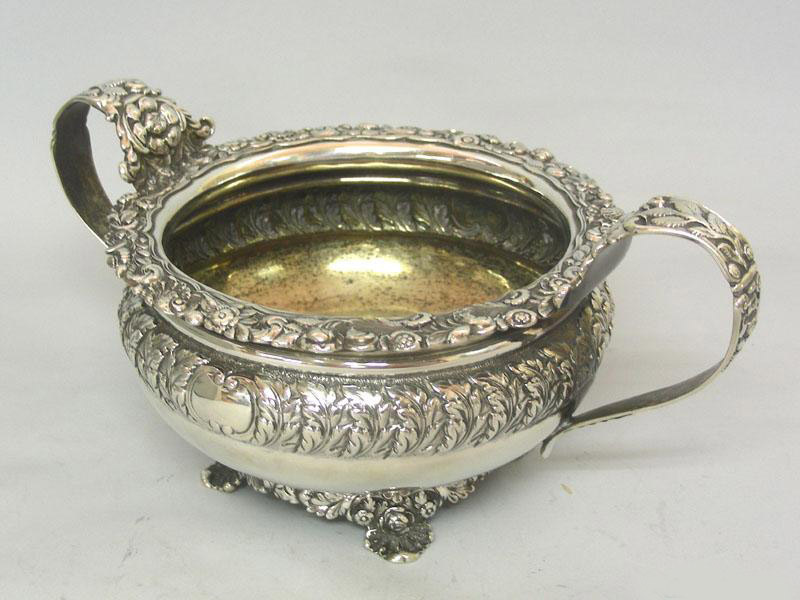 Pasarel - George IV Sterling Silver Sugar Basin Bowl, Rebecca Emes & Edward Barnard, London, 1821. George IV Sterling Silver Sugar Basin Bowl, Rebecca Emes & Edward Barnard, London, 1821. 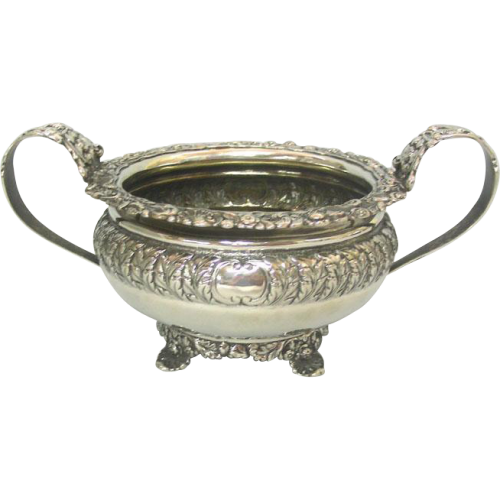 The sugar basin is profusely decorated with repousse acanthus leaves, floral and foliage ornaments. 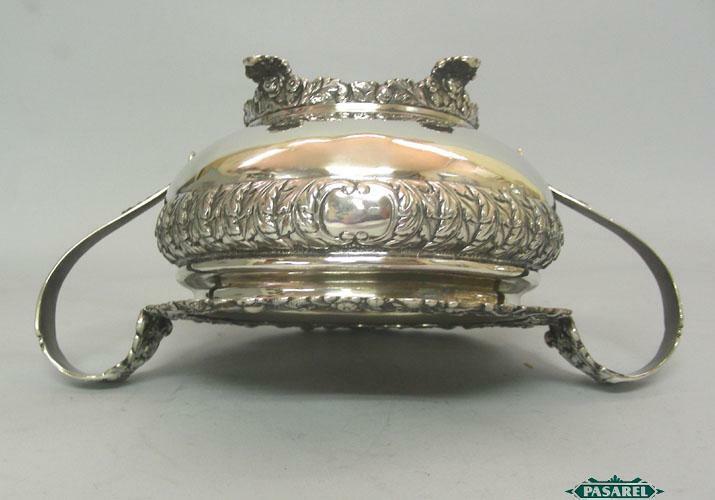 Set on a decorated base with four stylized supports. 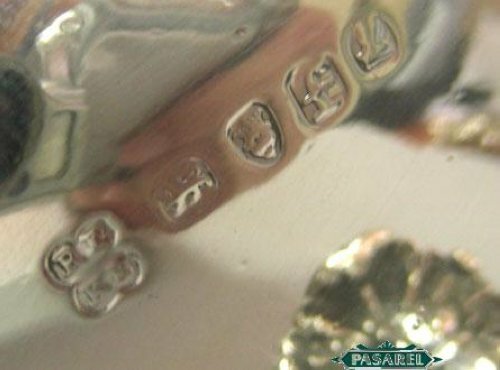 Fully hallmarked for London, England, dated 1821, maker’s mark for the renowned silversmiths Rebecca Emes and Edward Barnard. Very good condition, some loss of gilt to the interior of the bowl. Height – 10cm / 4in. Diameter – 14cm / 5.5in.